Websites exist to make engagement between companies or individuals and their website visitors happen more easily and effectively. The most effective way for a website to indicate which action they’d like visitors to take is what’s called a Call to Action (CTA). 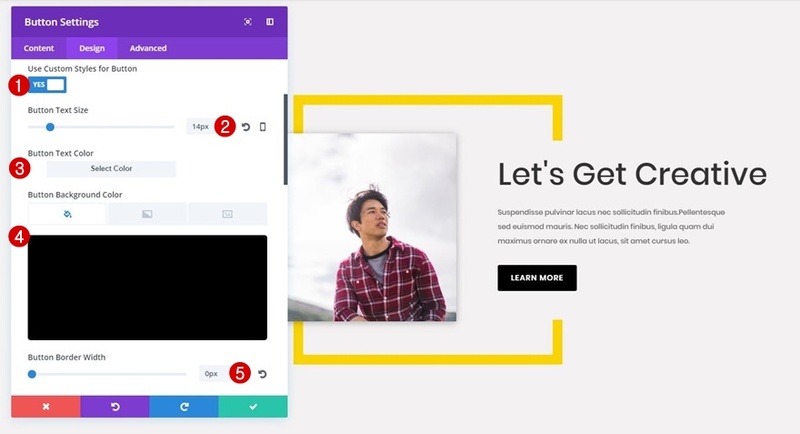 When you combine CTAs with a nice design, you can get an even better response from your visitors. 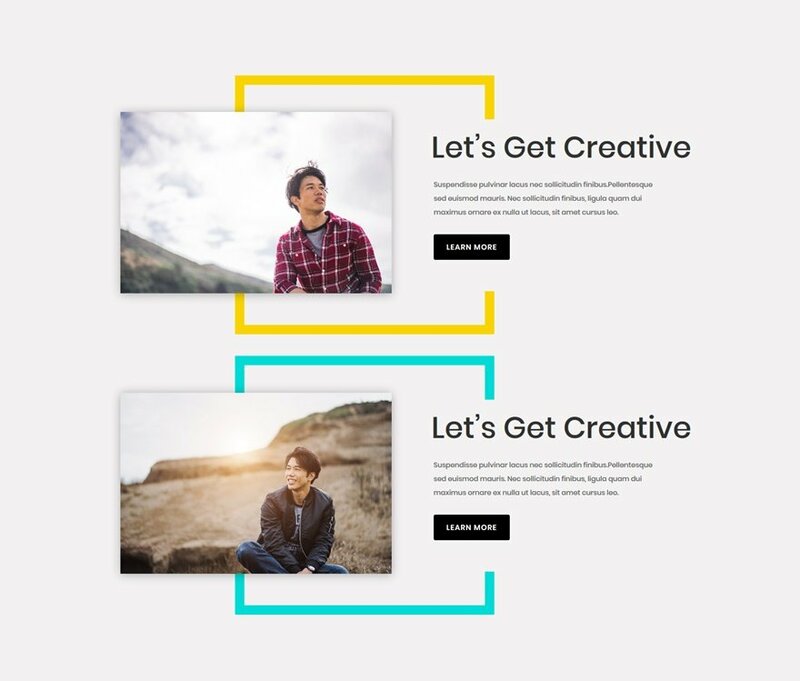 In this Divi tutorial, we’ll be showing you how to create a vibrant CTA section using Divi and Photoshop. 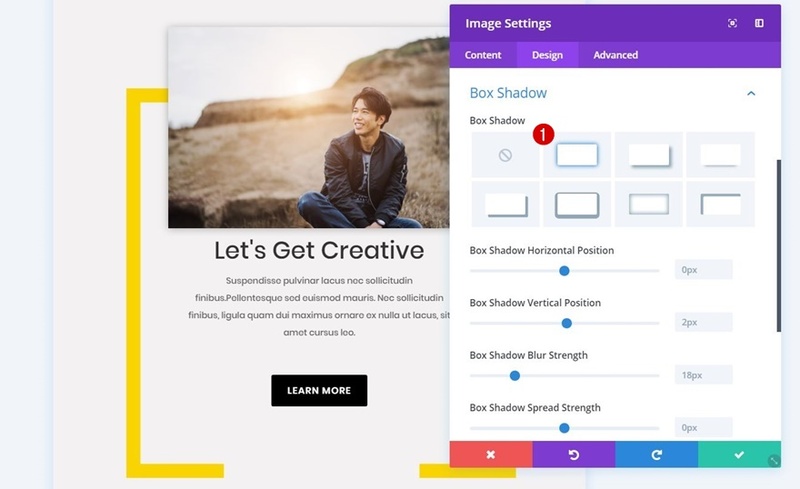 You can use this design on any website by changing the images and colors that are being used. Before we dive into the tutorial, let’s take a quick look at the final result. In the first part of this tutorial, we’ll create two images that we’ll use throughout the Divi tutorial. 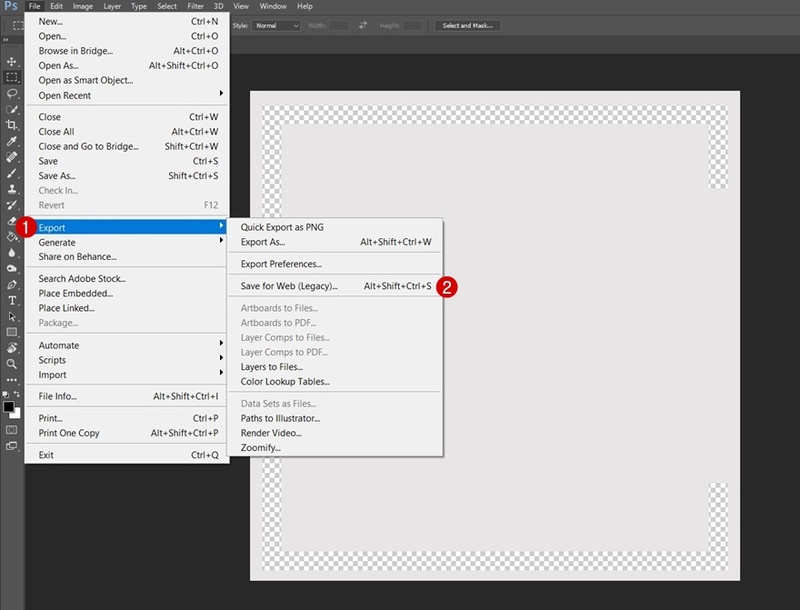 Start off by creating a new Photoshop file and use 800 for the width and height. Then, choose ‘Transparent’ for the Background Contents and click on the create button. 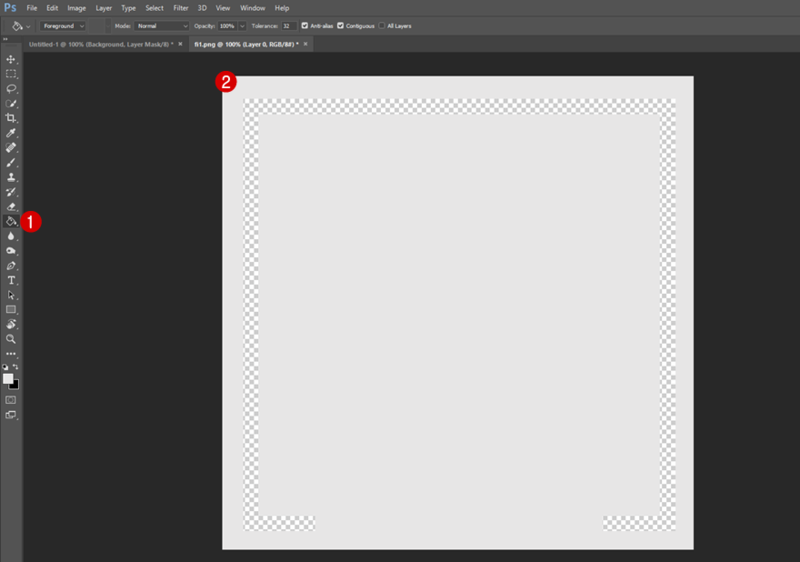 Next, give the layer you’re on ‘#F3F2F2’ as its background color using the paint bucket tool. 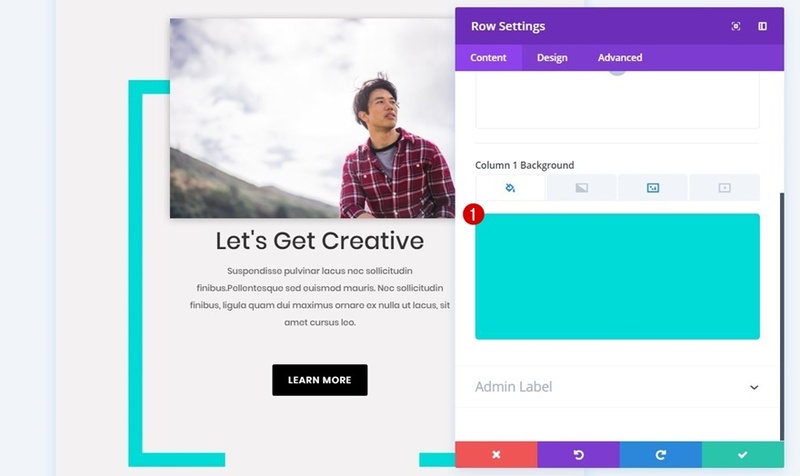 If you’re planning on using another background color for your section within Divi, use that color instead. 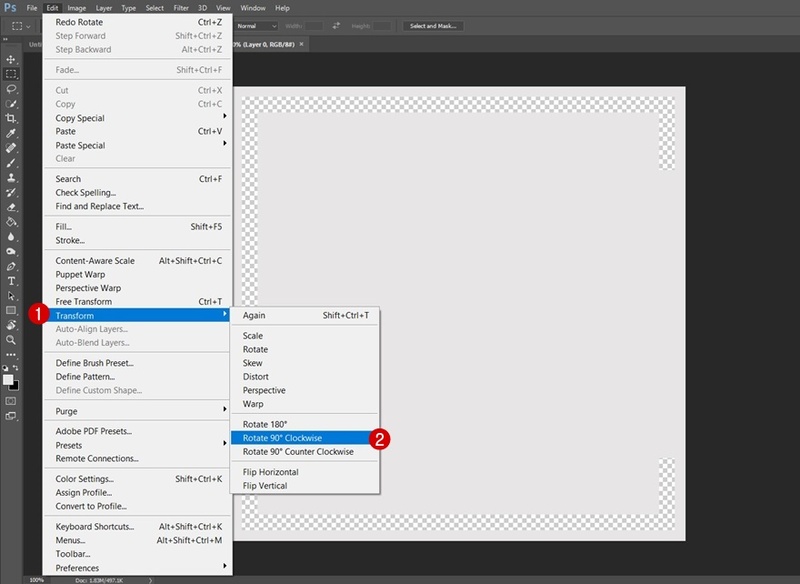 Continue by adding a layer mask to the layer you’ve just given a color. 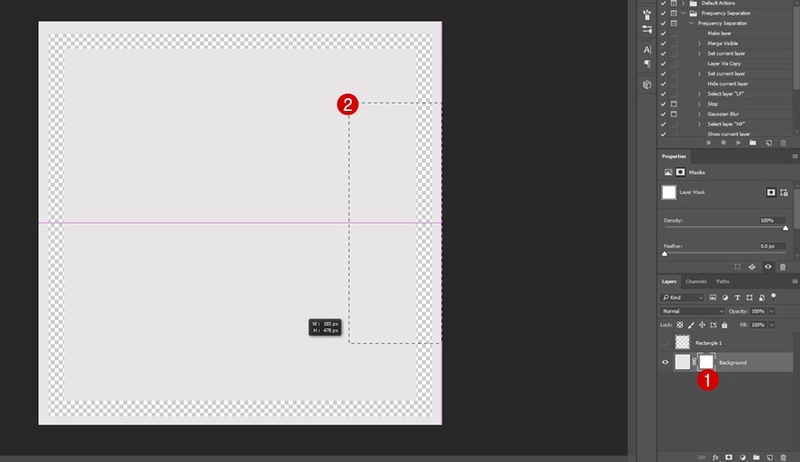 Then, add a square shape using the Rectangle Tool while keeping shift pressed. 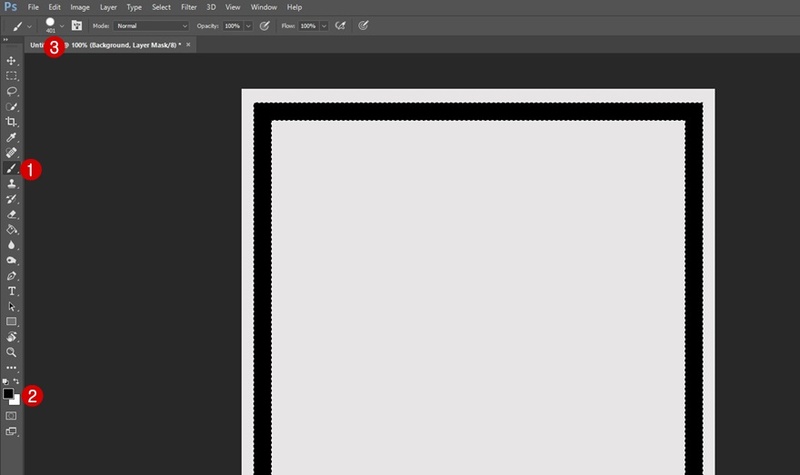 This rectangle will need no fill and a black stroke of ’30px’. The rectangle you’ve just added will need to become transparent. 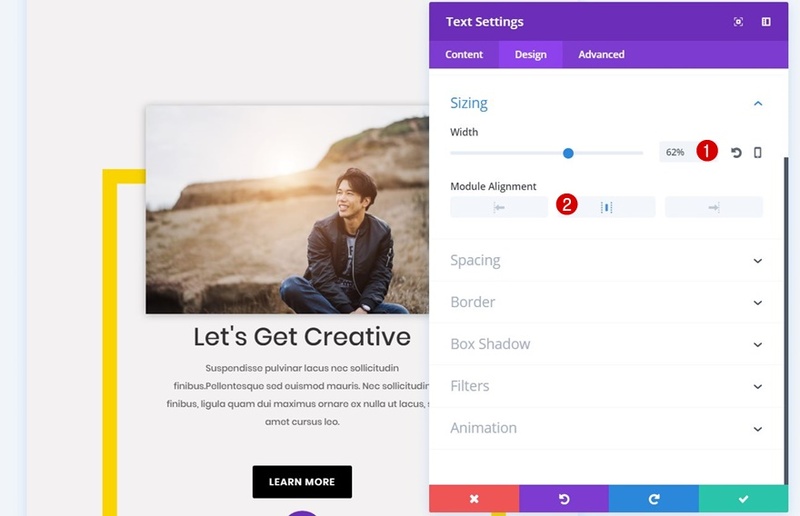 That way, once you add the image to the Divi Builder, you can choose which color appears in the transparent part. To start this process, rasterize the layer containing the rectangle. 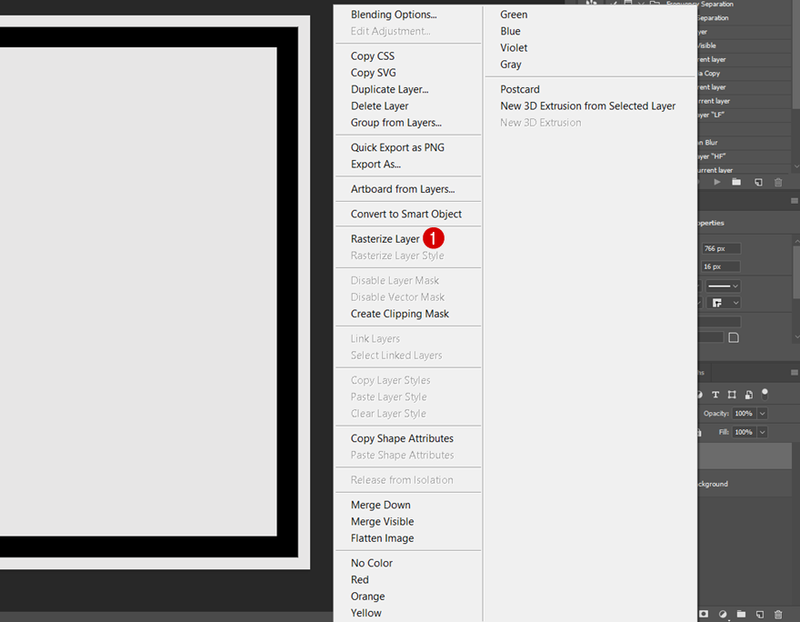 Then, press control/command + click on the rasterized layer and select the layer mask of the background layer. 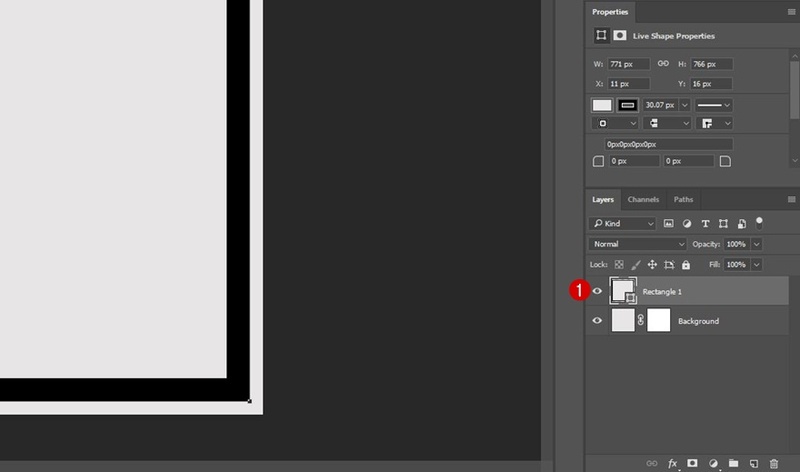 While having the layer mask selected, use a black brush to go over the rectangle shape you’ve created. This will remove the shape from the layer mask. 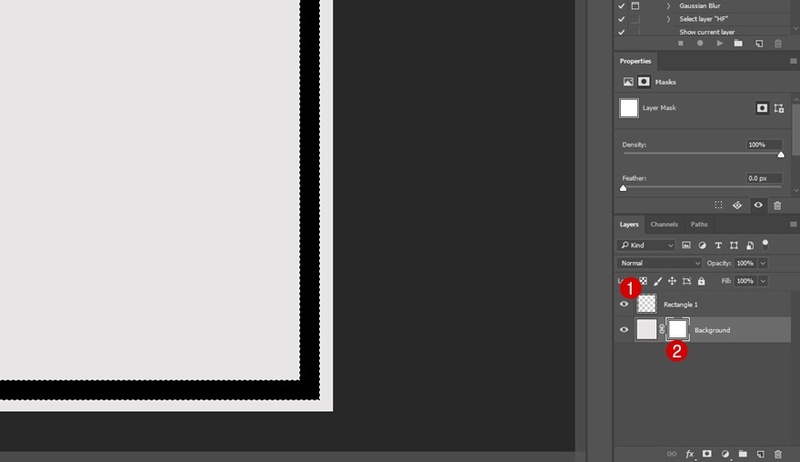 Now that you’ve gone over the rectangle with a black brush, that part of your layer mask will become transparent. But of course, you’ll need to hide the rasterized layer to see the result. The next step you’ll need to take is to remove a part of the transparency of the right side of your rectangle. To do that, select the layer mask, use the selection tool on the part you want to remove and simply press delete on your keyboard. Your desktop version is now done. The only thing left to do is saving it by going to File > Export > Save for Web and making sure the file you’re exporting is PNG. We’re going to save ourselves some time and make some modifications to the image we’ve just saved so we can use it for tablet and phone as well. 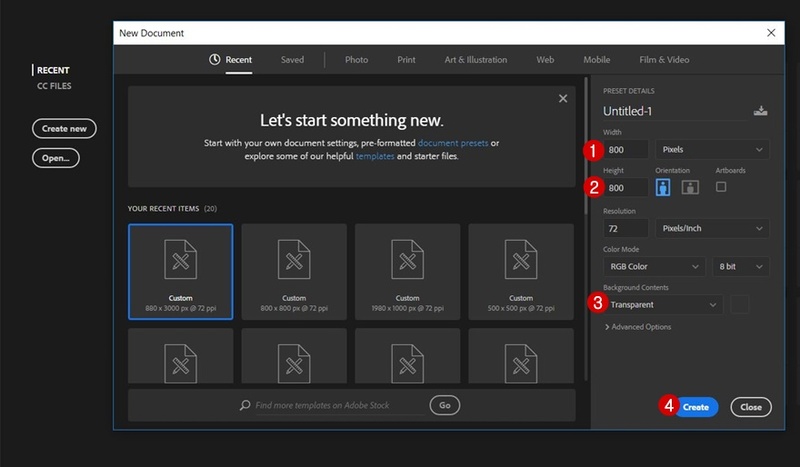 Start by dragging the image you’ve saved to Photoshop. Then, rotate the image by going to Edit > Transform > Rotate 90° Clockwise. Increase the crop of your image a little bit as well. This will just help you make sure the image doesn’t get cut off by the screen size once you use it for your website. And save this new image as a PNG as well. 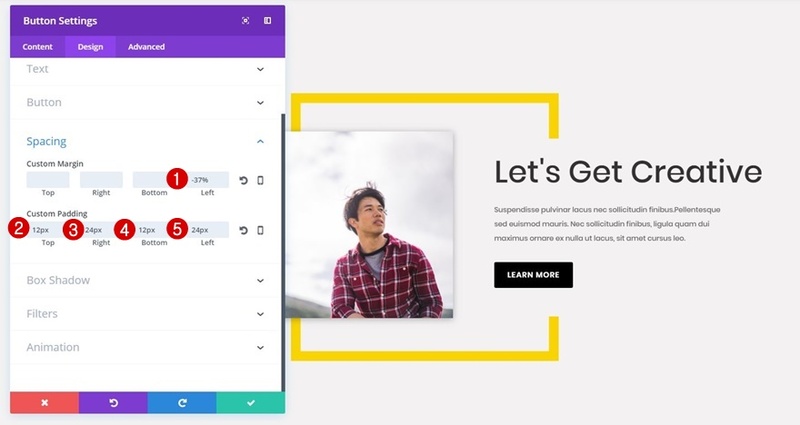 Now that we have the two images we need to make the Divi design work, we can start building the CTA section. 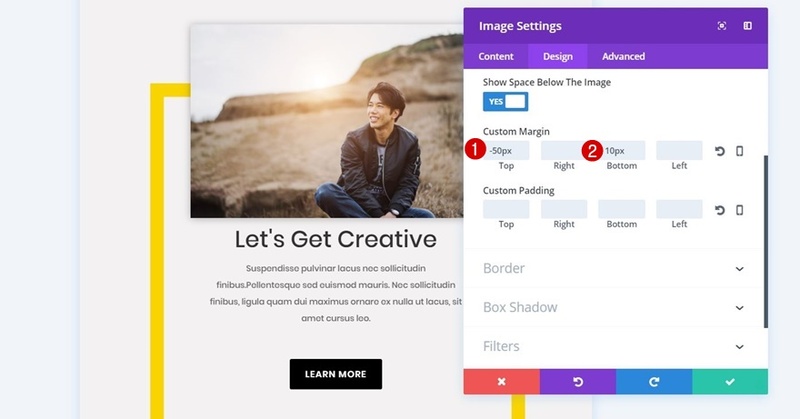 To do that, create a new standard section on a new or existing page using ‘#f3f2f2’ as the background color for it. Continue by adding a two column row to the section you’ve just created. 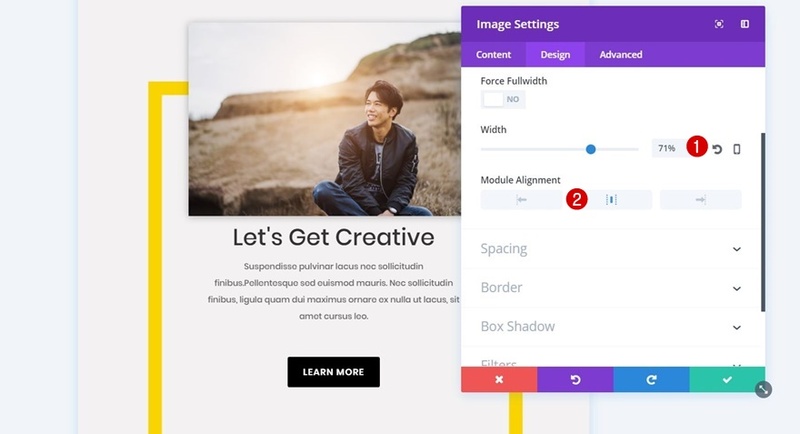 For this row, we’re going to use right alignment within the Alignment subcategory of the Design tab. Lastly, we’ll need to disable the row for phone and tablet. 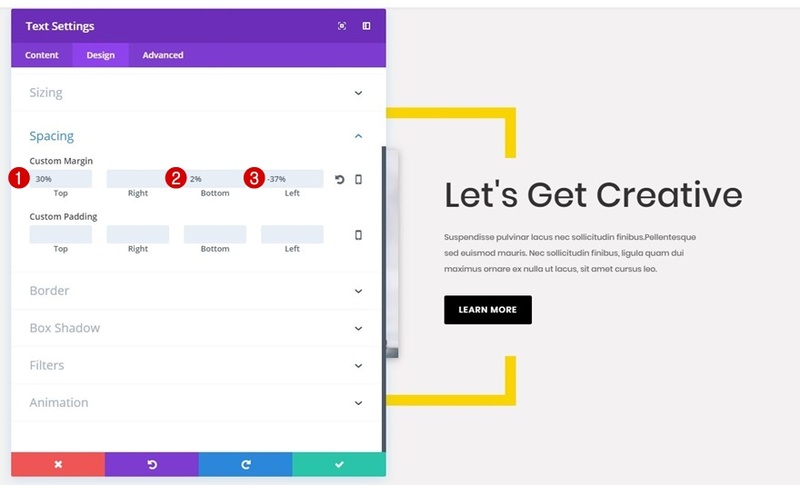 Later in this tutorial, we’ll create a new version that will match the screen size of tablets and phones instead. 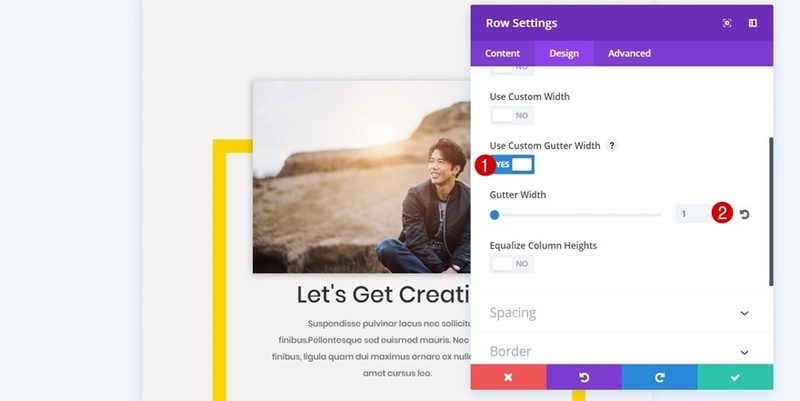 Once you’re done with your row settings, add an Image Module to the first column of your row. 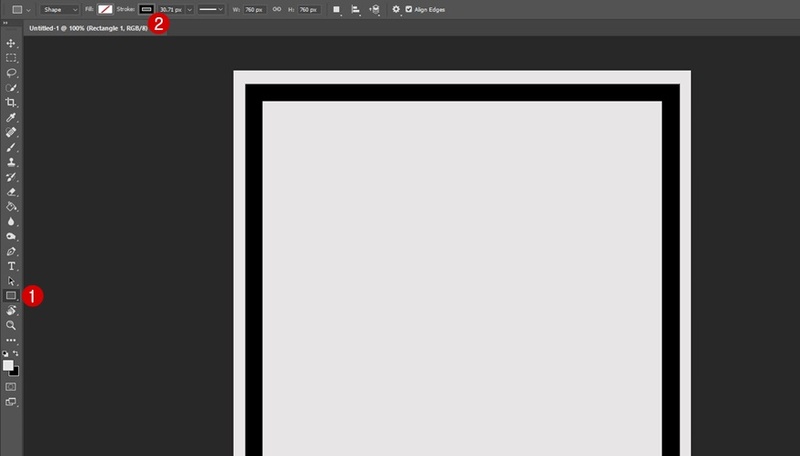 Upload the desktop image file you’ve created in the Photoshop part of this post. 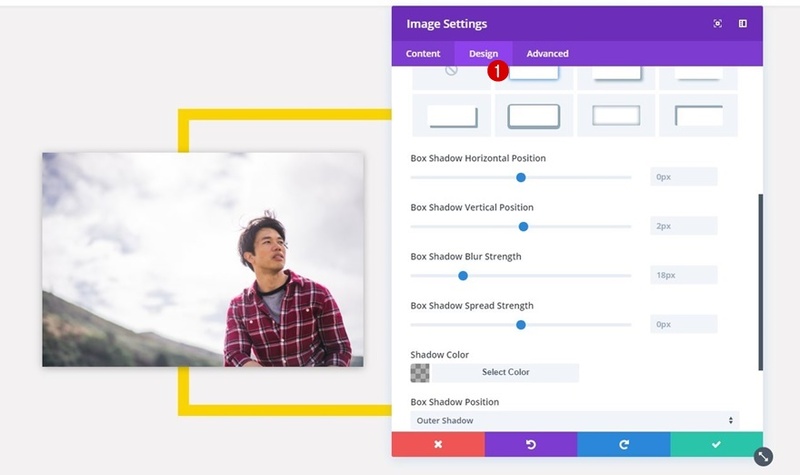 Because of the transparency within the image file, you can now choose a color for your rectangle without having to make the change within Photoshop. You can reuse the same image and just assign a different background color to it. In this case, we’re using ‘#f9d400’. Right below the Image Module containing the rectangle, add another Image Module. 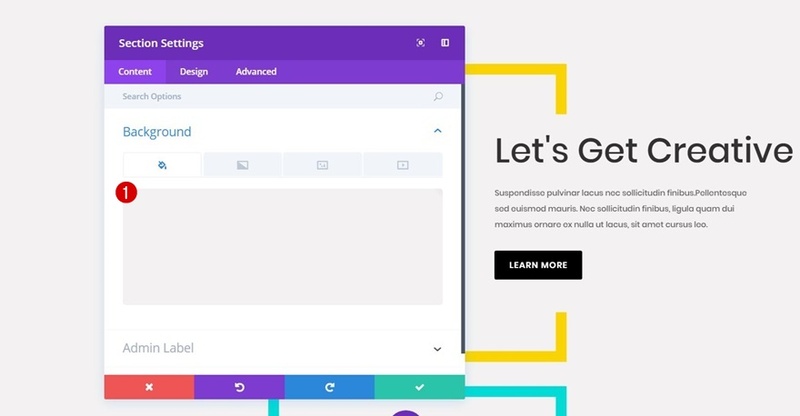 Upload a rectangle image to make the design work. Lastly, select the first option within the Box Shadow subcategory to add a subtle box shadow to your image. Now, you can choose whether you use a Call to Action Module or two Text Modules in combination with a Button Module. We’re going to choose the last option to create our example. Add a first Text Module to the second column of your row and choose ‘Dark’ as the Text Color within the Text subcategory. Next, open the Sizing subcategory and use ‘83%’ for the Width. Lastly, add ‘-37%’ to the left margin of your body Text Module as well. 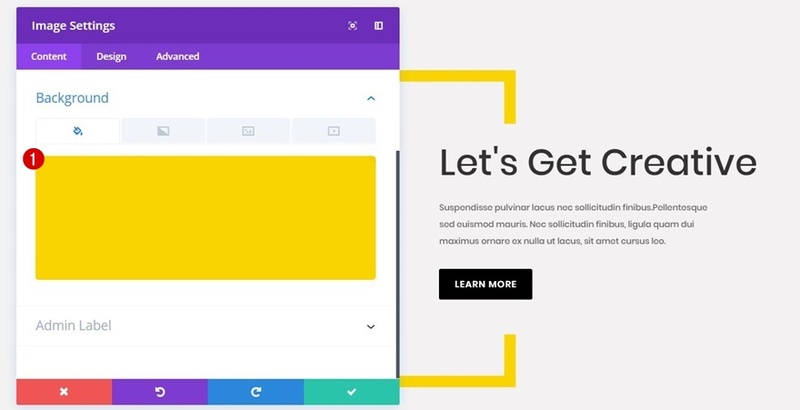 That way, the Text Module will appear right below the previous Text Module within the rectangle Image Module. Last but not least, you’ll need to add a Button Module to the second column of your row. 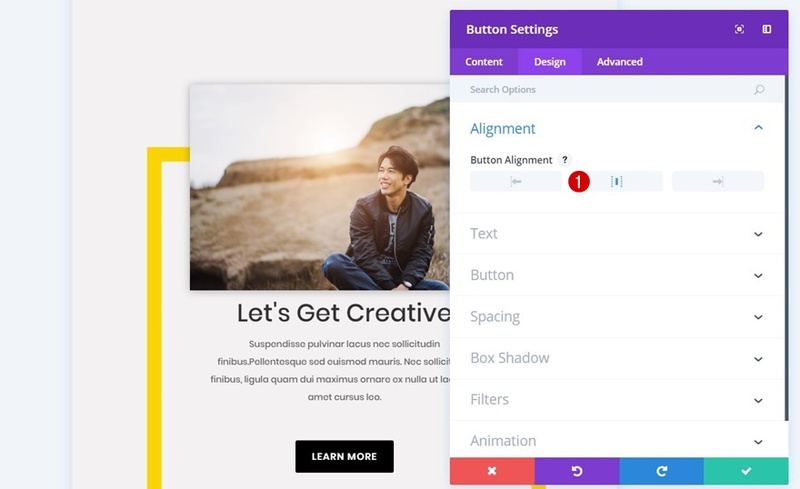 This Button Module requires a left Button Alignment within the Design tab. Now, clone the row you’ve just created and change the background color of the border Image Module into ‘#00dbd7’ or any other color. 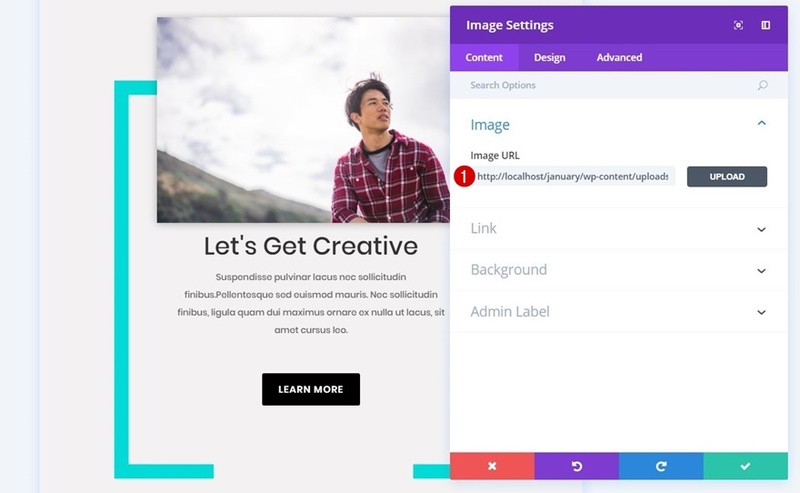 Likewise, you can also change the image within the second Image Module to create two CTAs that differ. Now that we’ve created the desktop version let’s move on to the version for tablet and phone. 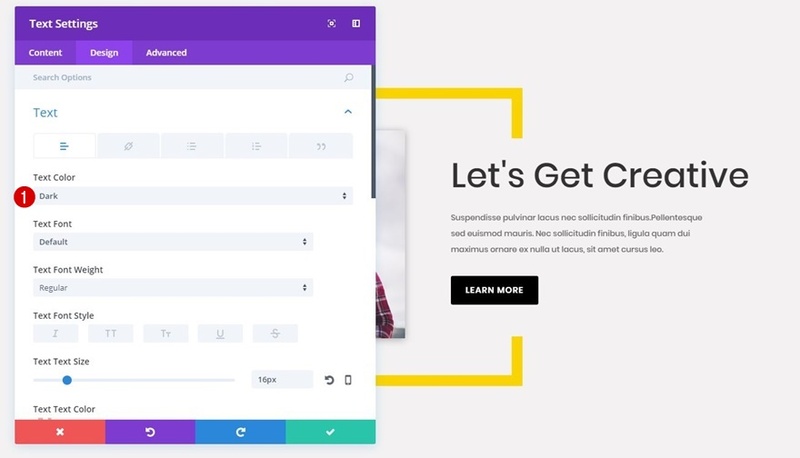 The first thing you’ll need to do is add a one-column row to your section. Add a background color to the first column as well. In this case, we’re using ‘#f9d400’. Next, open the Sizing subcategory within the Design tab of your row, enable the ‘Use Custom Gutter Width’ option and use a Gutter Width of ‘1’. 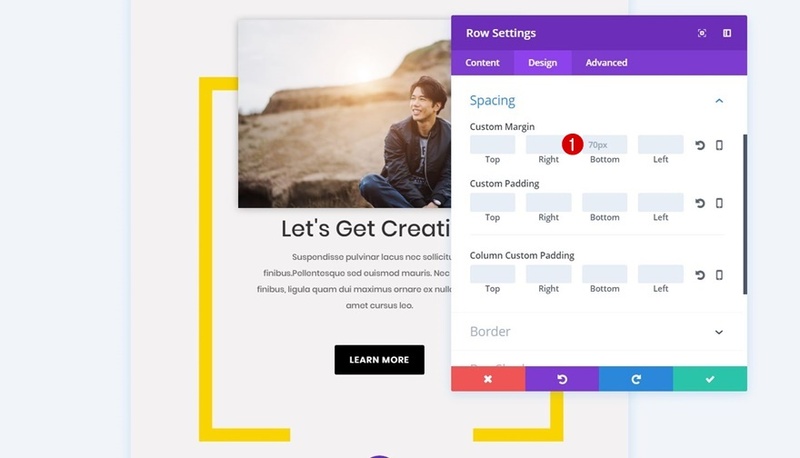 To keep some space between this row and the next row you’ll create, add ’70px’ to the bottom margin within the Spacing subcategory. Lastly, disable this row on desktop. 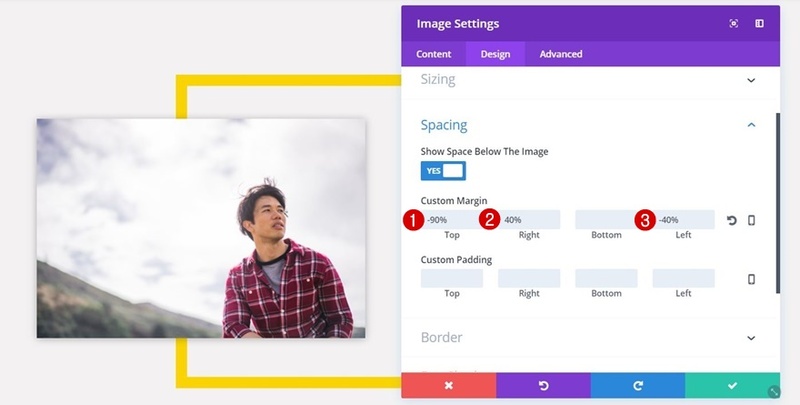 The first module you’ll need to add to your row is the Image Module. Lastly, we’ll apply some Box Shadow to this Image Module as well. We’re going to use the first option in the row without making any changes to the default values. While editing the title Text Module, open the Spacing subcategory and remove all of the custom margin that’s present. Next, open the body Text Module and change the Text Orientation to ‘Center’ within the Text subcategory. Lastly, the only value within the Spacing subcategory that is needed is ’50px’ for the bottom margin. The Button Module is the last module we’ll need to change. The first thing you’ll need to do is change the Button Alignment into ‘Center’. 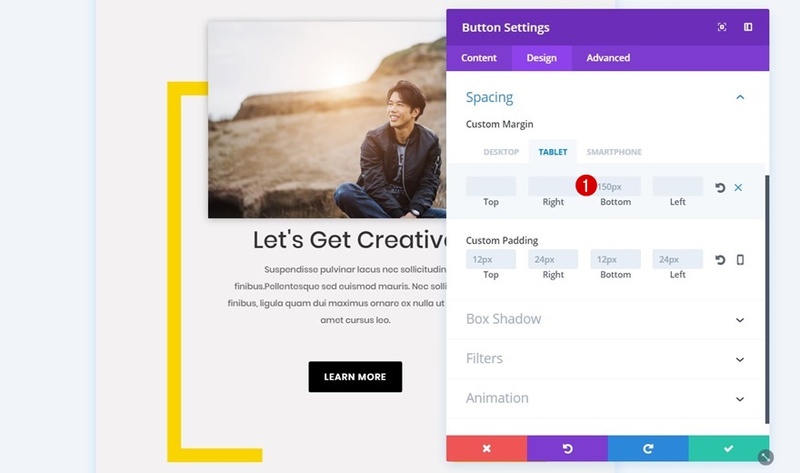 Then, make sure ‘150px’ bottom margin is the only value you use for the custom margin of your Button Module. Now that you have the first row in place, you can clone it and change the column 1 background color into ‘#00dbd7’ or any color of your preference. 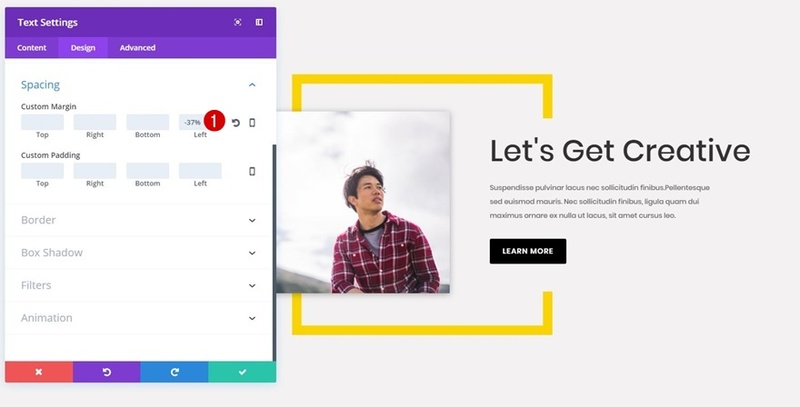 Change the image within your Image Module within your row as well to create two unique calls to action for tablet and phone. Now that we’ve gone through all of the steps, let’s take a final look at the result on different screen sizes. 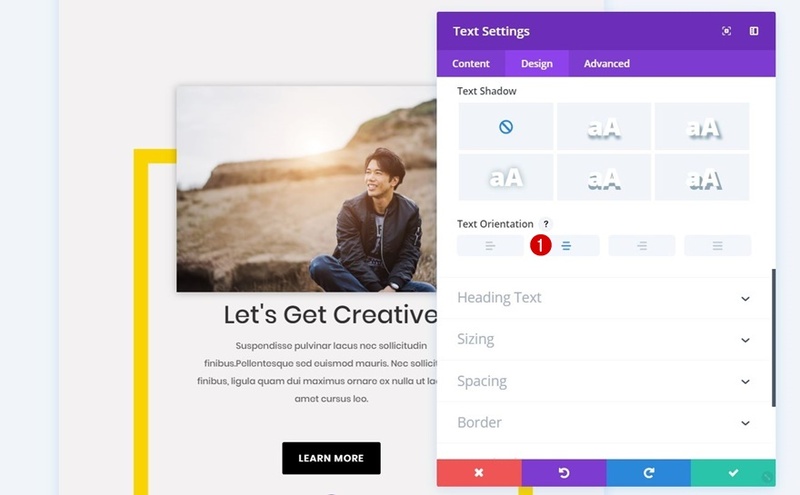 This tutorial shows you how to create a vibrant CTA section by combining Divi’s built-in options and Photoshop. 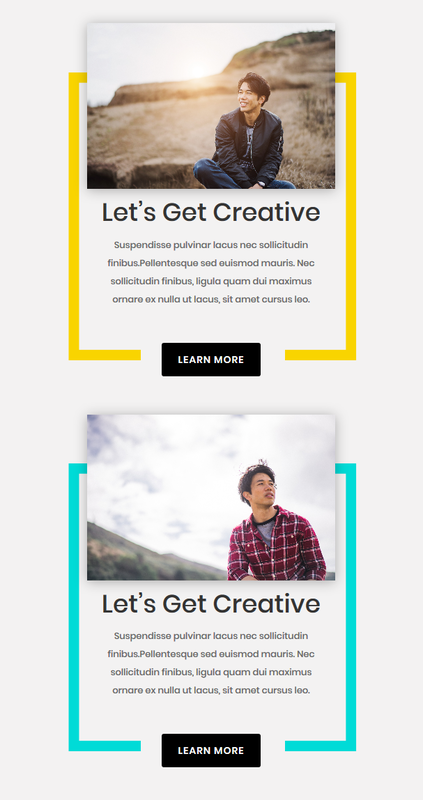 You can use the CTA section that’s been recreated within this tutorial for any website. If you have any questions or suggestions, make sure you leave a comment in the comment section below! I usually tend to use pixels for modules when they don’t influence the entire design. But in cases like these, where we make certain modules overlap, I use percentage to make it look good on different screen sizes. While I love the look, I dread all the steps. I wish resellers would offer pre-formatted modules for sale. That would be so much easier than layout packs and would be easy to knock out. I would buy this for $10. It would save me time. Right? The point here is to teach you something new so that you can apply it any way you want. Just buying this doesn’t expand your skillset. I’d say showing us how is far more valuable as a budding designer. Great tutorial. Could you re-explain this step? 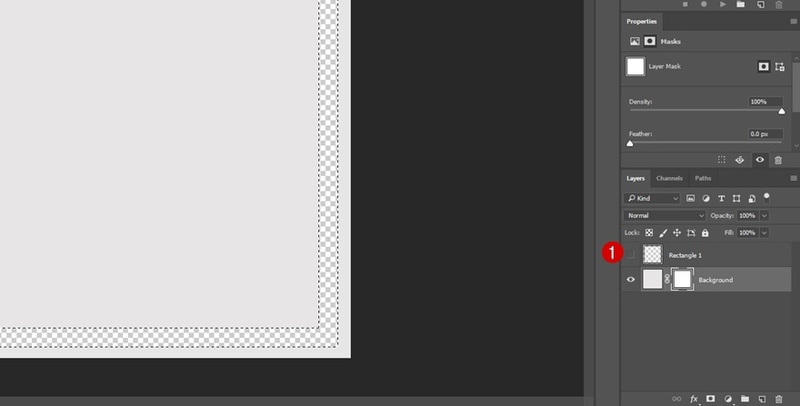 I’m using CS6 and it’s not selecting the rectangle as shown in the illustration. Very nice, but I would like to suggest you include the word Photoshop in your blog titles if it Photoshop dependant. Same process with Gimp or PaintShop pro. I wish when they give us 900 steps to format a module they would supply the module for download. Why not? It’s not secret sauce as they are giving all the steps. Anyone sharing the photoshop file? I will definitely use this on my blog soon. I love it! 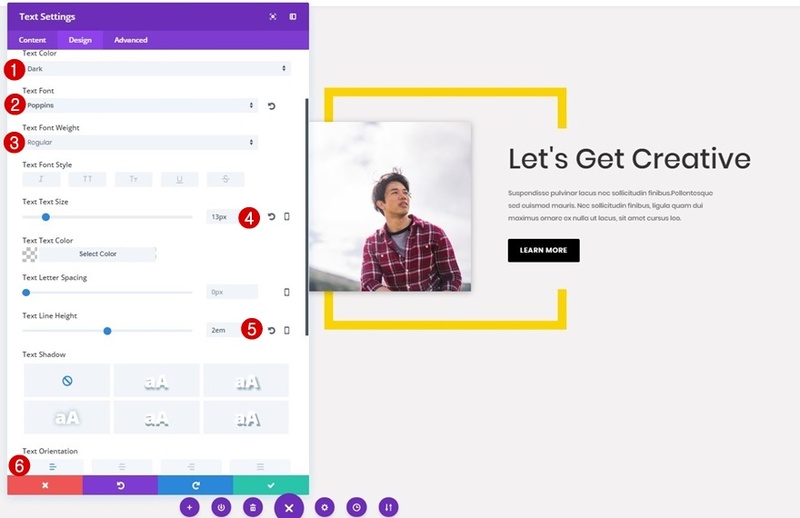 Thanks for this new inspiration and for showing us more ways to use our ever-versatile Divi Builder! I appreciate that you’ve taken time to create both, the easy to follow video and the detailed steps. thank you for good tutorial. may i know whether this layout available for download anywhere? Where can we get the file for the people who don’t have Photoshop? I’d be happy to send it to you. Please, send an email to donjete at live dot be. Thanks for this CTA. It looks so inviting and interesting that a customer would want to click on it just out of curiosity. I would definitely try this out. 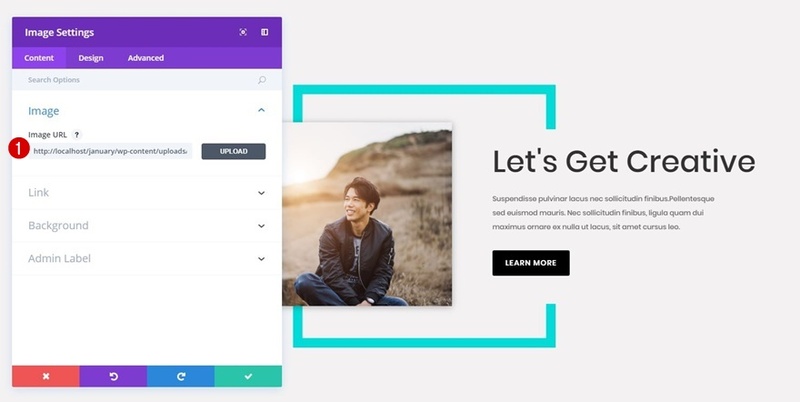 Design looks really good. Always good to see how to do new designs. Much appreciated. But .. as other comments say … any possibility of giving a link for members where they download the already formatted files? It would save lots of work and be greatly appreciated by members. 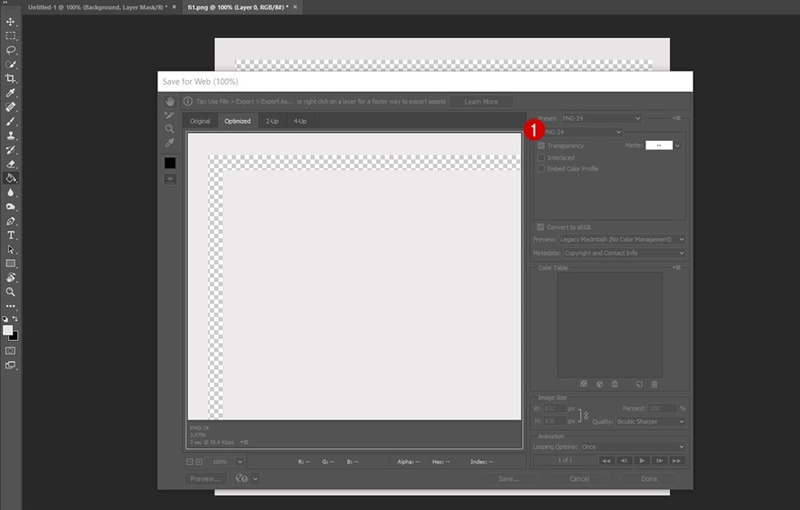 How can we get the shape file if we don’t have photoshop? Can you please send me the file? Is there a way to get it centered on desktop? Not sure if I’ve done something wrong. but my desktop version is off to the right, while yours looks centered. You’re welcome, Anthea! 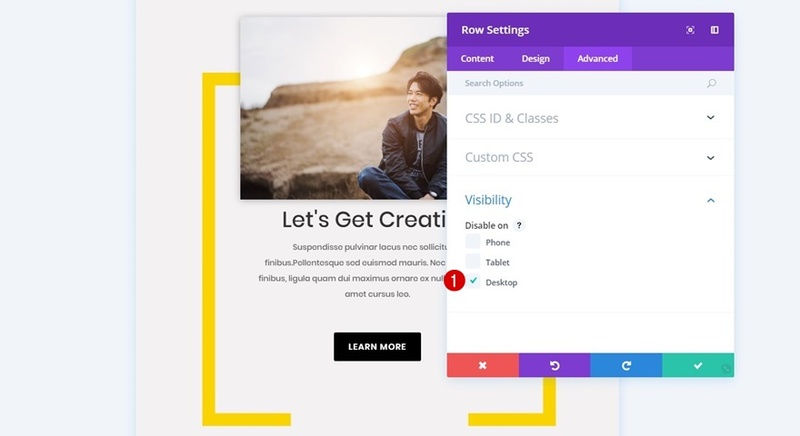 You can, instead, use center row alignment in the Alignment subcategory within the Design tab of your row. You have a point, Dimitris. In that case, it might be better to opt for center row alignment. I will definitely use this on my blog. 4 hours… and not the same result. it is fine on desktop and tablet but not on cellphone. On Phone the SIDE-colors are not visibile. I tried also to make a larger border (I think I tried 5 different sizes) to make it fit but it did not. After trying all I restard (first I followed the video guide, than the text guide and I think there is one difference) but it does not work well on cellphones. I also looked at it with different Browsers. 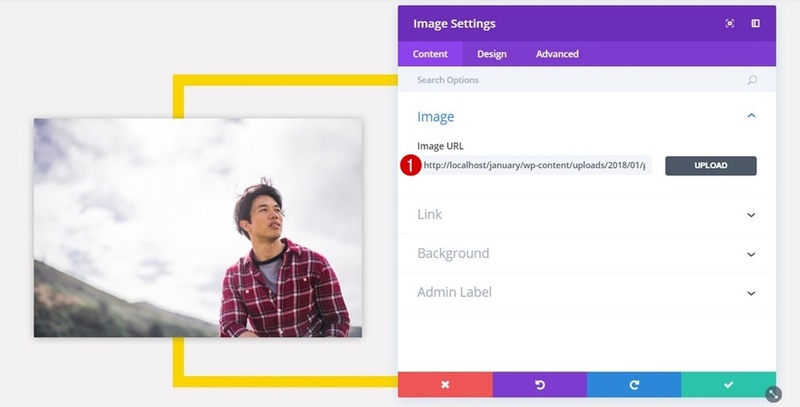 the picture SIZE and the SIZE when you insert the picture (inserting a images you can choose the size you are filling in the picture). 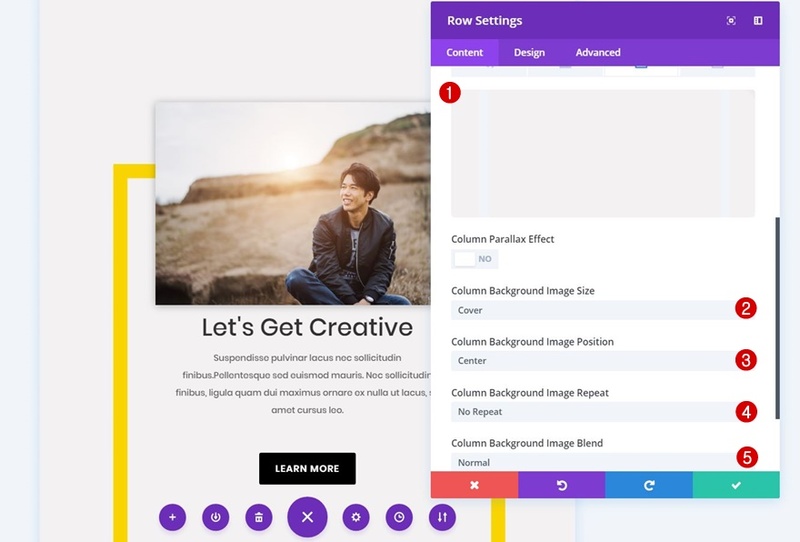 Instead of using a column background + color, add a new Image Module to your row with the square image file, add a background color to the Image Module and make sure it’s the first module within your row. Lastly, make sure the Image Module with the landscape image (your second module in the row) has a top margin of -120% for both tablet and phone. No need to modify the settings of the other modules that you’ve already created for this tablet & phone version. This is truly gorgeous. I went on and added this CTA section to my blog. Everything works and looks well when in editor (both desktop and mobile view) but the live mobile versions tested on my own mobile device looks .. scrambled. I guess I’ll have to open a ticket about this. There is another thing I’d like to point out here and it’s about the downside of using 2 separate modules for the desktop and mobile version. 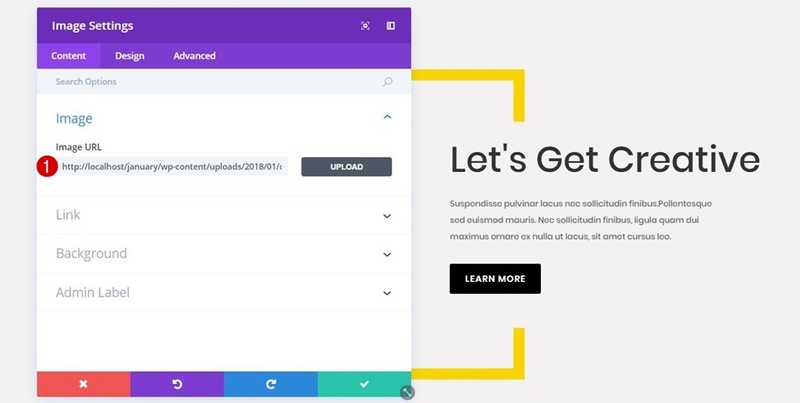 Besides having the same content twice on the same page (each module version will be shown twice in the HTML code), it will interfere with the proper functioning of many plugins that “read” the blog post such as Table of Content – that will pick up the same heading twice and the popular AMP plugin that will show in “plain text” the same content twice. An easy-to-say but hard-to-do fix would be to create one single module and only change the settings to match the desktop/mobile browser versions. Hey Jessica. Check out my reply to Martina Hahn’s comment with another approach to the tablet & phone version. If I may offer a suggestion, please create tutorials for individuals who do not know how to use the product. 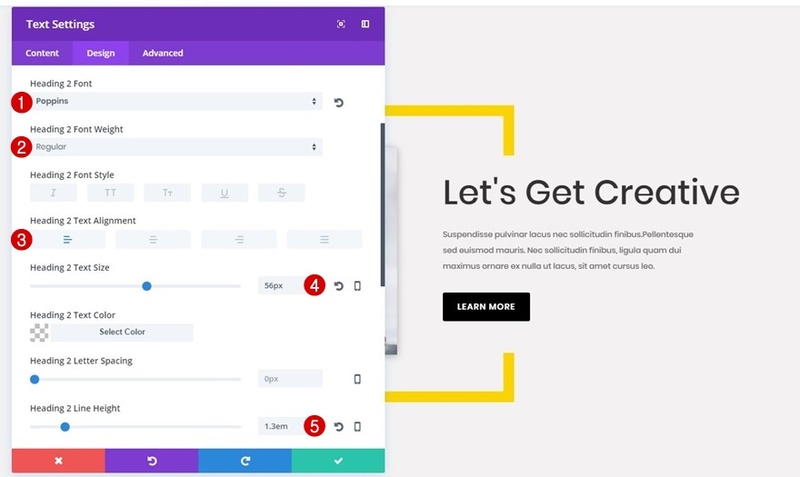 I found your YouTube tutorial to be too fast and skipping steps (that the user is assumed to know how to perform), and the text tutorial is missing steps as well. I totally agree that the tutorial was too fast and skipped steps. I’ve been using Photoshop for many years but the instructions seem to be missing something, at least in the early stages of this tutorial because that’s as far as I got. 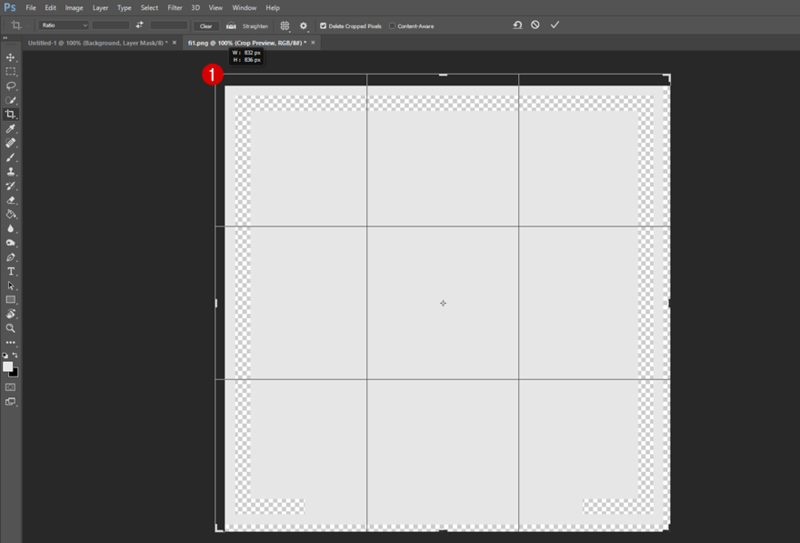 After creating the background layer and adding a mask, when I create a rectangle, I see no way to give it a stroke and transparent background. The rectangle in your example created a “rectangle” layer. Not on mine. If I select the mask and make the rectangle, I get a black box. I finally figured out you have to select “shape” rectangle. Only then, I got the option to set a stroke of 30px and no fill. The default was set on “pixel” rectangle. What a beautiful CTA.. stands out in the right way. Amazing, thank you for the tutorial! Thank you for the tutorial and for the photoshop files. I have an issue. 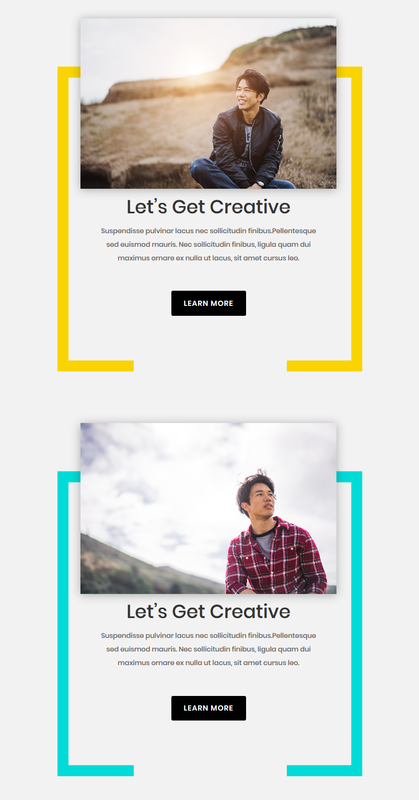 If you check my website (https://elementsdive.com/cursos/), in the page I have created the CTA section with ypur photoshop files there is a thin line same background color than the photoshop image. I do not know why and how I can fix it. This was fantastic, thank you so much for creating and sharing! I will have to give it a go but I’ll try to do each row as opposites so it flows on the PC side to my customisation, should be easy enough to just reverse your instructions. I know you said to use whichever picture as long as it’s a rectangle, may I ask what size were the pictures you used (the bread one and the cutting board)? I have a lot of trouble learning the correct sizes for images so I am curious what you used because it flowed so well. Thank you again so very much for sharing this amazing small (small to pro users, not so much for me as a newbie) but powerful tweak.